Do you consider your child’s health care provider the expert who has all of the decision-making power when it comes to handling medical needs? If so, it may be time to give up that notion. You, as a parent, are a crucial part of your child’s health care team. If the word “team” conjures up visions of sports, think of what happens during a game. While each player is uniquely talented and knowledgeable, all work together for a common goal. When it comes to your child, that goal is the best possible health outcome. Research shows that when patients work collaboratively with health care providers in making decisions about their own care, health is significantly improved. And this is true in regard to your participation in your child’s health care. After all, you’re the one who lives with his special needs every single day. You are the person who knows all the ins and outs of her daily care. For example, a health care provider can’t know that the medication she prescribed to be taken three times a day takes you 20 minutes to get each dose down your medicine-phobic child’s throat. It’s up to you to ask if there’s another type of medication that can be given less frequently. Just as a sports team must practice in order to work well together, it takes practice to work well with your child’s health care provider. Fortunately, there are some things you can do before, during, and after an appointment to ensure a good outcome, starting from the very first visit. Find the right health care provider. 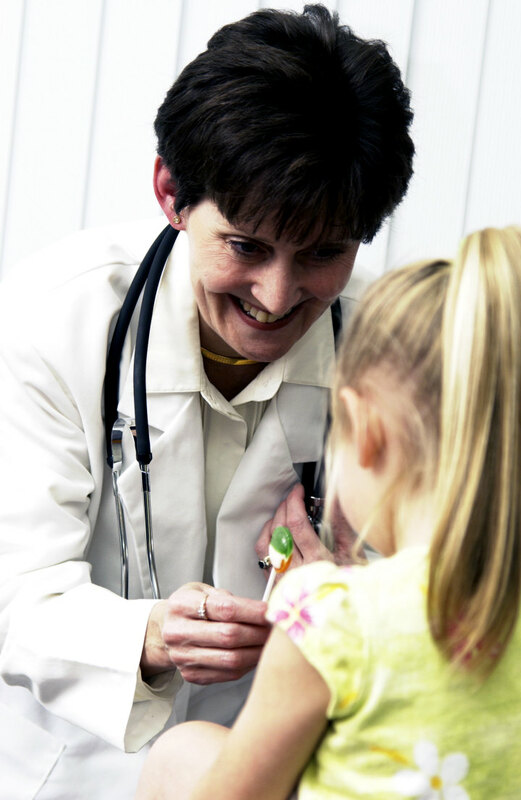 If you will be seeing a primary care provider, try to locate one with a specialty in treating your child’s condition. “Find the people that have dedicated their professional careers to helping this population lead healthy happy lives,” advises Colleen Lindblad, R.N. B.S.N., who owns Kids at Home, a care-at-home agency for disabled children in New York. Also the mother of a child with cerebral palsy, Lindblad recalls the fear on the face of a primary care physician who had little experience working with patients like her son. “There was a great deal of trepidation in treating my son,” she says. Lindblad eventually was able to handle much of her child’s health care with the assistance of a pediatric neurologist more familiar with cerebral palsy. Read up on your child’s condition. Contrary to what many people believe, health care providers are becoming accustomed to a more health-savvy patient population. Many of them are even relieved when they don’t need to spend precious time explaining basic facts about a health condition. Use the library or the Internet to learn everything you can about your child’s disability or medical condition, including common treatments. Remember, though, that not all websites will give you accurate information. Look for government sites or those affiliated with an educational or well-known medical institution. Choose your appointment time carefully. If your child’s appointment is a first-time visit to a health care provider, or if you believe you need a longer visit to discuss a particular problem in depth, ask the scheduler to allot extra time for the appointment. And consider what time of the day works best for your child. Most kids have more trouble waiting in an exam room when they’re tired or hungry. Prepare materials to show the provider. Your health care provider has a business to run, and the reality is that he has many other patients besides your child. You may only have a short time for consultation, so you must have everything at hand to present in the most efficient manner. For a first-time visit, this may include a brief history of previous medical care, a list of immunizations given and medications or treatments your child takes, a list of current symptoms or problems and any questions you may have. Enlist help. If an unfamiliar medical office turns your child into a holy terror, ask another adult to accompany you to the visit. You may need this person to entertain your child in the waiting area for part of the appointment, while you speak to the health care provider alone. Come with an open mind. Even if you believe that your child is not reacting well to a new medication or treatment, avoid drawing conclusions or telling the health care provider what you want to happen — at least initially. Remember that you’re a team, and both sides should present all information before a plan is made together. “Just tell them what’s happening, this is what [you are] seeing, ” advises Morgan. Ask questions. Don’t be afraid to ask questions if you don’t understand something, no matter how “dumb” you might feel it is. If a diagnostic test is suggested, for example, ask what the test involves, why it is needed, and when you will be informed of the results. If the health care provider uses language you don’t understand, ask her to rephrase the statement. This is your opportunity to ask the questions you prepared prior to the visit, too. Be sure to ask them in priority of importance, in case time runs out. Make a plan. Work with your child’s health care provider to make a plan. Don’t be afraid to ask for another visit to discuss things more thoroughly if you need to do so. If you need more information about a proposed plan of treatment or a test, ask the provider to recommend appropriate resources for help. And always ask when the health care provider would like to see your child for follow up. Don’t hesitate to telephone your child’s health care provider if you find, once home, that you don’t understand his instructions. Many times, the office staff can have the provider return your call himself, or will ask him for clarification and then let you know what he advises. And always make a call if your child is experiencing any problem with a new medication or treatment.